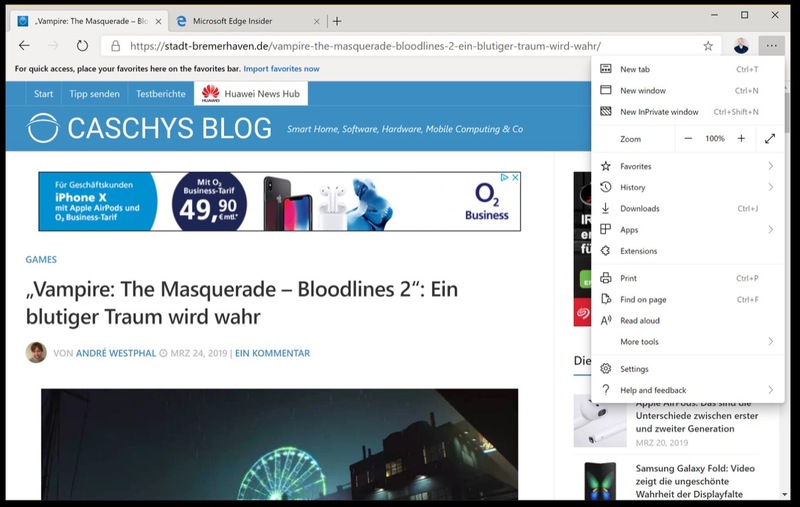 Well, it went fast: Yesterday, the first news was to show pictures of Microsoft's Chromium-based browser. First with one side, then several. The source has probably spread the installer in one way or another wide and meanwhile, Microsoft Edge does on chromium-based round. And you can also download the approximately 112 megabyte package, of course at your own risk, as it is just not a Microsoft-approved download. The edge in chrome-based way reminds logically on Edge, but also on Chrome. The browser supports extensions, even reading mode for articles on web pages. I installed the whole thing in a virtual machine – yes it runs – and is really worth a look at curious. If you want to look at the browser, here I have a download as mirror deposited.